This weekend I poured two layers of two-part resin "water" on the diorama. This is always a stress filled event because if you get the resin mixture wrong, you risk ruining the model. I am happy to report that it worked as planned. The resin is curing and is ready for the final placement of the boats and last layer of acrylic gel to create waves. While the resin was curing I made several details including a box car under construction, wheel sets along side the loco works, the coal wharf crane, and 4 tipper wagons for the coal yard. One wagon has a mule pulling it, while the others are in reserve. 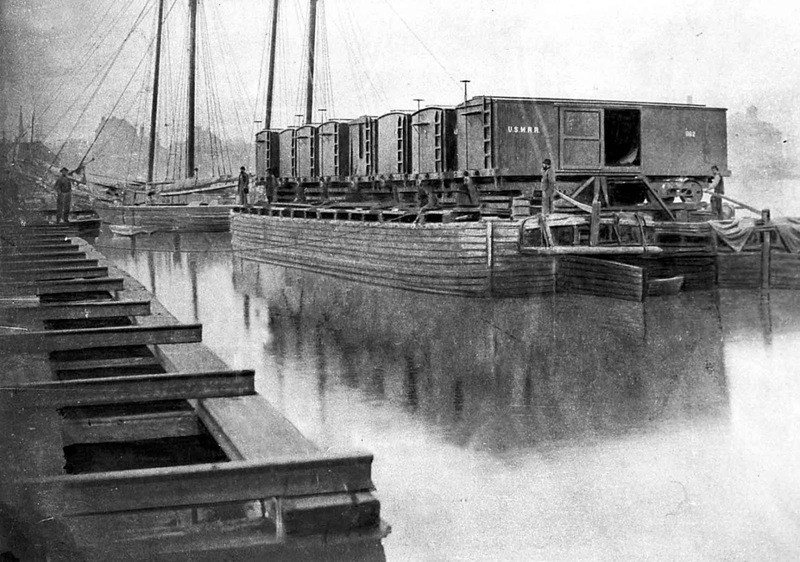 The canal boat is typical of the type used on the C&O canal. They were 90 feet long and 14 feet wide. They could carry over 100 tons of coal. 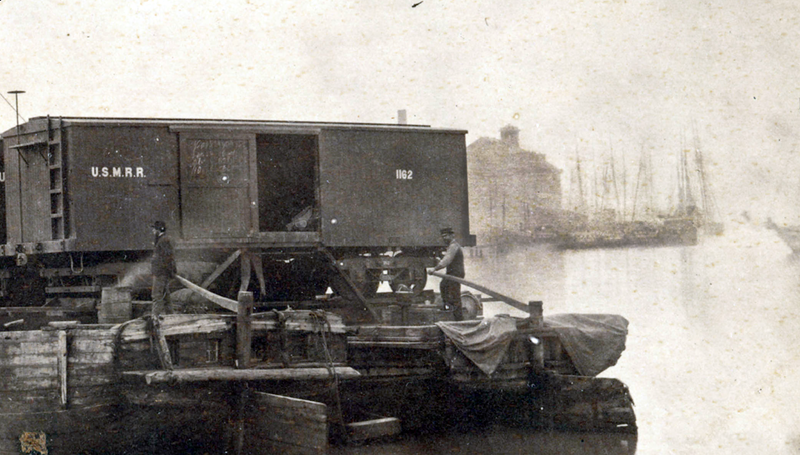 The coal crane on the wharf is based on photos of similar devices on the US Government coal wharf taken during the ACW. Lots more detail to go, but the project is almost done. I recently came across this video essay by Robert Florczak on "Why Modern Art is So Bad." He eloquently summarizes exactly how I feel on the subject. 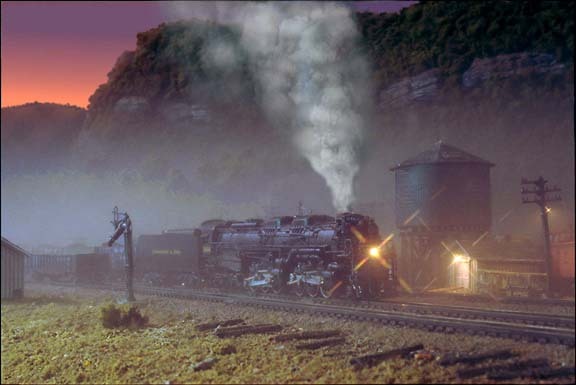 But are model railroads art? Yes, I believe they can be. According to Florczak art should, "demand the highest standards of excellence, improve upon the work of previous masters, and aspire to the highest quality of work attainable." 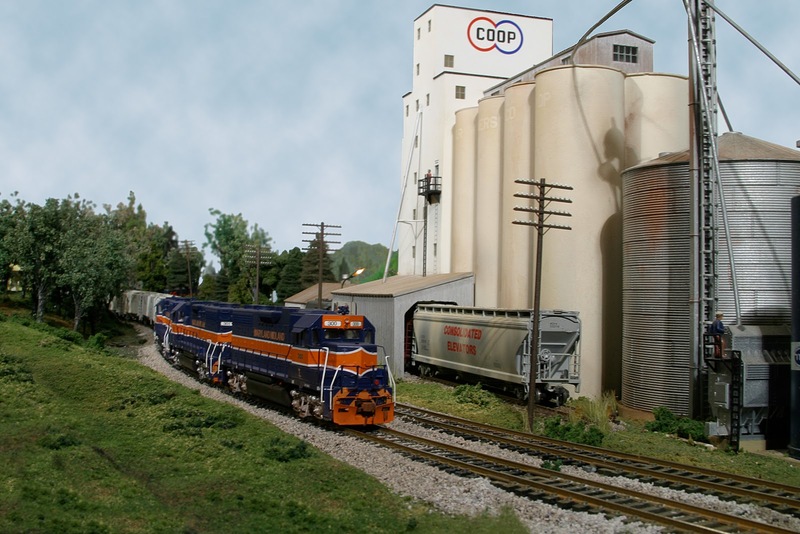 These are goals that I and many other model railroaders try to attain. Furthermore, Florczak says that the work should be, "profound, inspiring, and beautiful." Profound - means showing great emotion, insight, and knowledge. 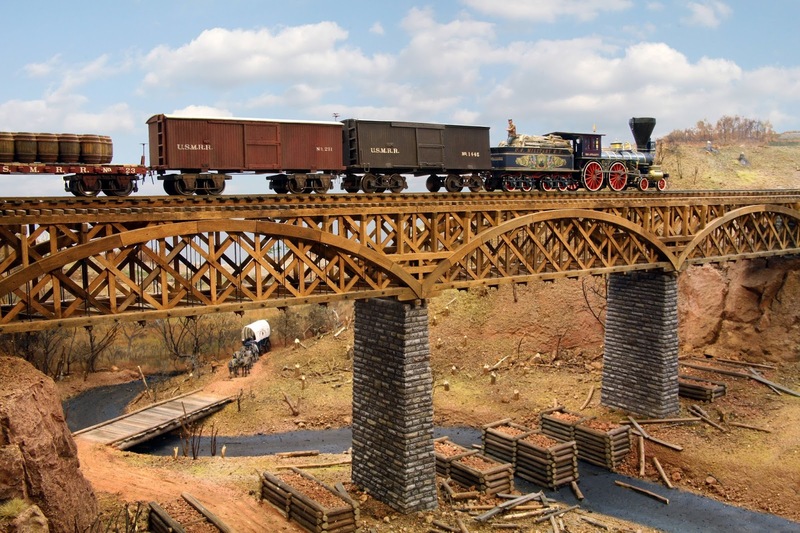 Model railroads that use prototype scenes to tell a story about a space and time can easily attain that. 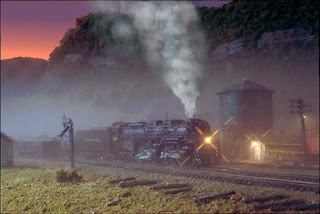 Inspiring - I know I am inspired when I visit a great model railroad. Beautiful - some layouts are beautiful, even if they depict gritty urban or industrial subjects. Here some examples that I believe show art in model railroads. I was looking at the J.B. Clough collection of photos at the Huntington Digital Library. I came across a link to this image. I have a copy of this image that I got from a trip to the National Archives. In my version, the background is hard to see clearly. In the Huntington copy, a clearer and wider view of the background can be seen. 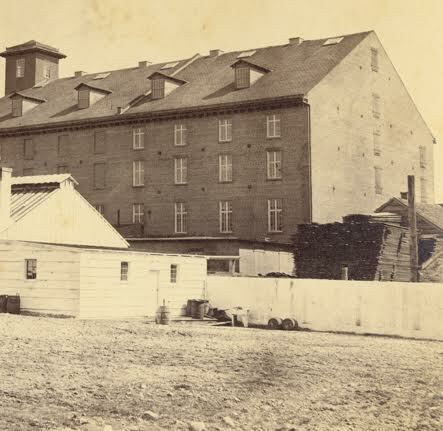 One can see the south and south east facades of the Pioneer Mills. Alas, the resolution is insufficient to provide any good details except that the wharves near the mill were chock full of sailing vessels. The US Army used the Pioneer Mills and the former loco works as storage houses. They must have also utilized the wharves for unloading ships. It also appears the the barrel to the left of the leftmost tiller operator is smoking. That seems odd to me. It's always fun to find new detail in these images. 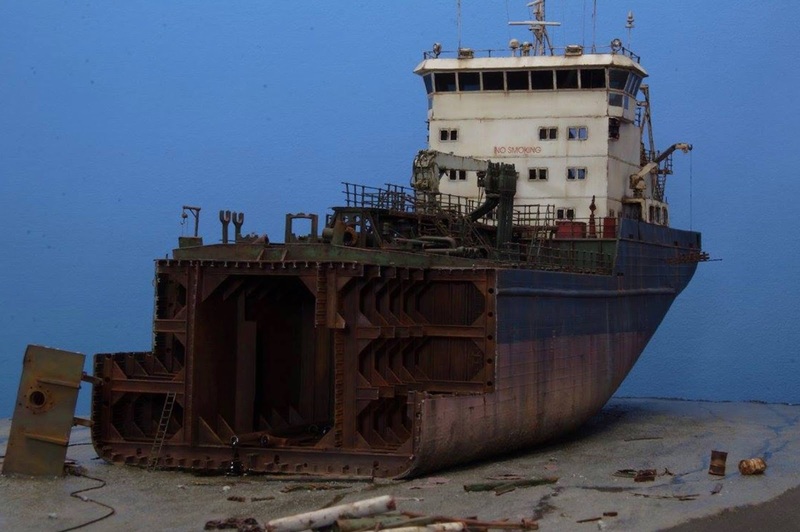 All the major pieces of the diorama are complete except for the canal coal boat. I added the first coat of scenery and gave the water surface a second coat of gloss polyurethane. Next step is to make the barge. Then I will add figures, barrels, wagons and assorted details. The final step will be to pour the two part resin water. We also had visitors today from Richmond. Mike Garber, Mike Pulaski and Joshua Blay stopped by to check on the various projects. I was the third layout stop for them today as they first visited Marty McGuirk and then Paul Dolkos. Speaking of Marty, last weekend he and two of this sons stopped by to visit the layout. I made lots of progress on the diorama since the last post. I finished the locomotive works structure. It is glued to the scenery base and is awaiting final details. Next I made a large number of lumber stacks in various sizes. I laser cut the wood parts in layers and the assembled them to create the look of lumber that has not been stacked with machine precision. I also made two smaller sheds that flank each side of Pioneer mills. One is brick and the other has wood siding. Installing the brick shed made me realize that the backdrop on that side needed some adjustments. I scaled down the some of the backdrop buildings in Photoshop. Then I cut away the part of the backdrop that had to be redone and added the new artwork. The replacement worked very well. Loco works glued in place. At long last, I was ready to cut the terrain base and shape it. I cut the foam with a knife and then used a Surform rasp to shape it. Then I gave the surface a coat of Durhams Water Putty to fill in cracks. Once that was set I painted the base ground cover and the water surface. I also gave the water surface a coat of polyurethane clear gloss to seal the surface and any cracks for the planned two part resin pour. I still need to add the bulkheads along the waterfront. This angle view will not be possible when the diorama is installed in the final position at the Lyceum. the mill to the ship is a mock-up of the marine leg.I have not made it yet. I have just about finished all the structures for the Pioneer Mills diorama. The last structures are the wharves and small two sheds that were adjacent to the mill. There are only two images that show this area and neither one shows the entire area. The first shows the rear walls of a wood shed and part of a low brick wall to the south of the mill building. 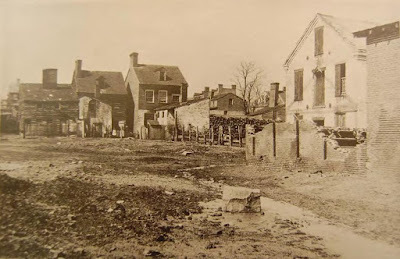 This next shot shows the area much later in the 1880s. It is cited in the Alexandria City study on page 22 of the Robinson Terminal Redevelopment document here. Their caption says, "Backyard of Pioneer Mills, n.d. This circa 1880 photograph shows the houses at 310-306 South Union Street (on the left), James Green’s wood yard (center), the rear of the coopers shop with the kitchen addition removed, and a portion of the brick sheds (on right) southeast of the Pioneer Mills’ main building. (Photographer Unknown, Alexandria Library, Special Collections Branch)." It is not clear to me which building had the brick wall with the vertical slots. standing. 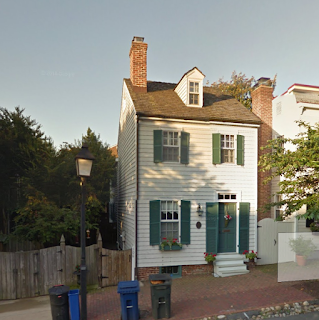 Here is the current Google Street View of that house on the south side of Wolfe Street. Alas, this is not a lot of information on which to base a model. So I plan to add small wooden and brick sheds south of the mill. Their designs will be based on other period buildings. The rest of the area will be open for wood and coal storage. Work continues on the museum diorama. I'll post some photos soon. 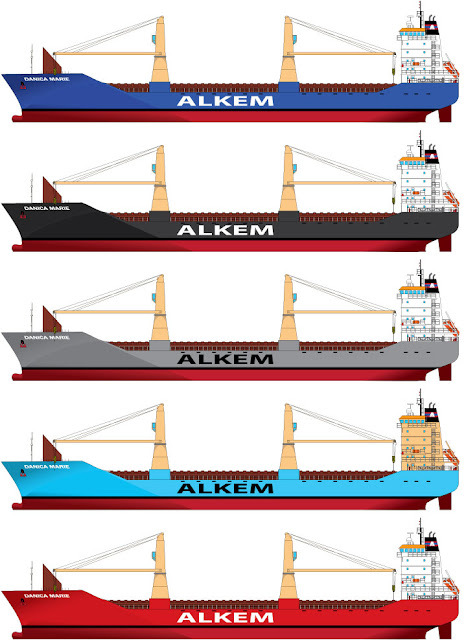 In the meantime, planning for the new fleet of Alkem Shipping Lines is underway. 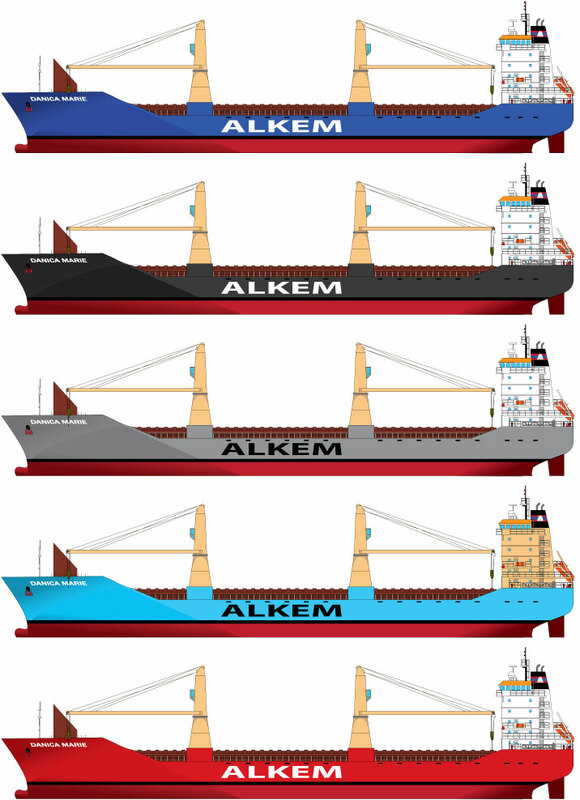 As part of that process, we need to select a livery for our ships. The first in the fleet in the MV Danica Marie, named after the owner's beautiful daughter. Here are several paint schemes to consider. Which do you like best, blue, black, gray, light blue or red? Model builder Nader Taheri did an awesome job on this diorama for the Peabody Essex Museum. The link below takes you to a Facebook gallery showing his step by step work. Note how he used thin copper foil to replicate the dented steel panels of the ship hull.